Fundraising Event supporting BC First Responders and their families who have been effected by Post Traumatic Stress ( ptsd ) Mental Health challenges. 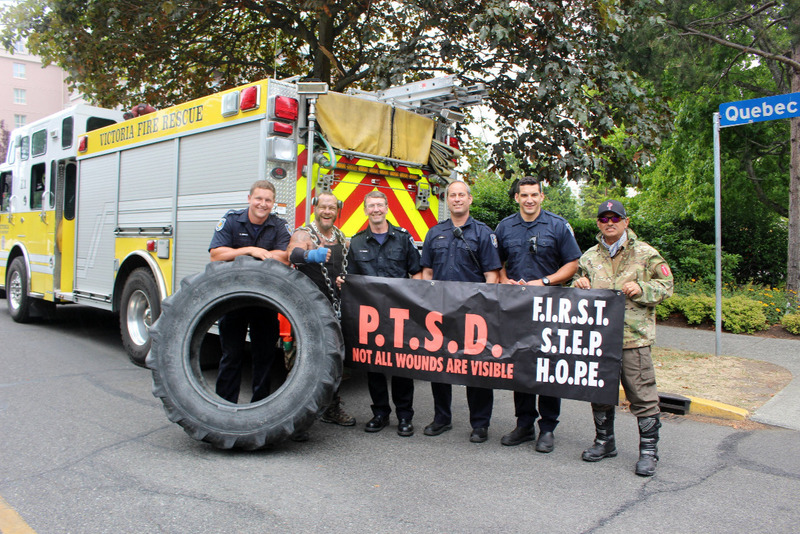 BC First Responders and family members will flip a 400 lb Tractor Tire 5000 flips making their way around Stanley Park Sea wall to raise funds / awareness to PTSD / Mental Health. Our main goal is to raise enough funds to facilitate 2 First Responders and their Family members to participate at a 7 day Camp My Way Wilderness Therapy Program. * All funds raised will help cover Travel Cost, Camp My Way Wilderness Therapy Program, Equipment, Operational Costs, Guides & Food. We will start with welcoming to the territories song, drumming and smudge before we have a 10 minute meditation, breathing exercise, group warm up with all of our sponsored First Responders and their families who will be helping flip our tire around the sea wall to raise funds to send 2 first responders and their spouses to a 7 day Camp My Way Wilderness Therapy program in June 2019. During the month of April - May, Camp My Way will be presenting our First Responder Family Program to various Emergency Service departments in the lower mainland. If you would like us to present at your Hall or Dept – please contact us via GoFundMe. Our family program offers self help natural tools, education, and knowledge. With education comes a better understanding, so we are able to recognize, prevent, manage, and de-stigmatize Post Traumatic Stress, Mental Health and Substance Abuse challenges at home and in the workplace. Connecting with other Emergency Service Providers and their family members who have lived with similar problems / solutions, or are perhaps still doing so, can be a vital link for someone struggling with their own situation. Our unique program offers an effective trauma / stress management, and recovery strategy, that will moderate the effects of life-challenging events, and provide a sense of empowerment.